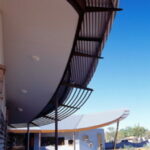 Designed as Senior Architect with Tangentyere Design. 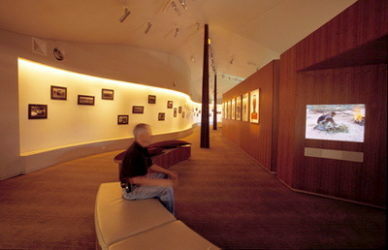 The Nyinkka Nyunyu Aboriginal Art and Culture Centre at Tennant Creek was a major undertaking of the Warumungu people of the Barkley region around Tennant Creek. 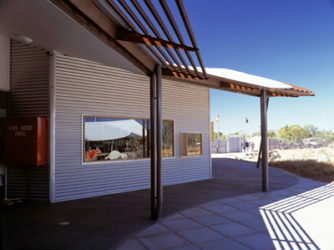 The centre is a community development initiative of Julalikari Council Aboriginal Corporation (JCAC) and is located next to a Warumungu sacred site. Nyinkka Nyunyu, (pronounced ny-ink-a nyoo-nyoo) is the home of the spiky tailed goanna, as it passes through Tennant Creek. 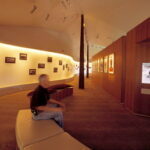 It features an art gallery, multimedia display, retail outlet and arid zone garden with two traditional dance rings for men’s and women’s performances. 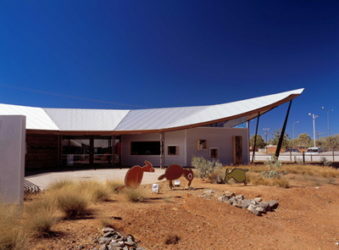 The architectural form is an abstraction of the spiky tailed goanna. 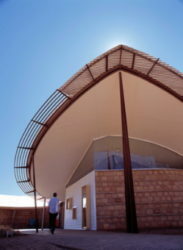 The Warumungu people as traditional owners for the Nyinka Nyunyu sacred site, requested a building that echoed the form of the goanna with its spiky scales. 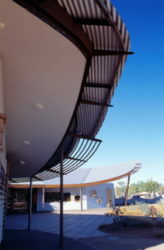 The radial geometry grew from these ideas, along with the courtyard plan and segmented spiky roof forms. 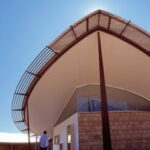 The repeated plane sections of the roof structure were adopted to gain both efficiency and relative simplicity. A further objective was to optimise local indigenous input through Julalikari’s Community Development Employment Program (CDEP). 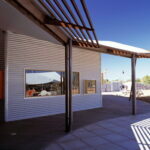 The building was constructed using pressed earth bricks manufactured by CDEP participants. maximise involvement of Julalikari Community’s CDEP during the construction phases.